…found the photo for this drawing in the March ‘09 issue of Monocle. Roderick Aichinger is the photographer. I wrote to Monocle (Rose Percy: photo-editor) & Roderick asking to use the photo for a drawing, both gave me their blessing & here’s the result. This was the very first building that attracted my attention while driving into town from the airport at 4am in the morning. I didn’t shoot it until the very last day. I had a hard time finding the building and basically reconstructed the route from the airport to the hotel with my guide. Aleppo is mainly known for its Citadel and old town, but features amazing modernist architecture from the 1930s up to the 50s. – as an untouched ensemble! Unfortunately the qualities are hidden under a layer of dust and dirt; concealed by numerous AC-units and satellite antennas. This building is from this era. Check out the new issue – I went pirate hunting for monocle! Thank you Rose Percy & Roderick Aichinger! “I have carefully read your letter in which you described the recent skirmish with powerful enemies. So they have finally attacked you. It is a matter of rejoicing that your usual prudence and courage, as well as your firm faith in the Lotus Sutra, enabled you to survive unharmed. When one comes to the end of his good fortune, no strategy whatsoever will avail. When one’s blessings are exhausted, even his retainers will no longer follow him. You survived because you still possess good fortune. Moreover, in the Zokurui chapter, the heavenly gods pledged to protect the votary of the Lotus Sutra. Of all the guardian deities in heaven, it is the gods of the sun and moon who visibly protect us. How can we doubt their protection? Marishiten in particular serves the god of the sun. Could the vassal Marishiten abandon the votary of the Lotus Sutra when her lord, the god of the sun, protects him? In the first chapter, Taishaku appears with his twenty thousand retainer gods. The god of the moon, the god of the stars, the god of the sun and the Four Heavenly Kings were seated together with their ten thousand retainer gods. Marishiten must be among the thirty thousand heavenly gods who were present at the ceremony. Otherwise, she could only abide in hell. You must have escaped death because of this deity’s protection. She gave you skill in swordsmanship, while Nichiren has bestowed upon you the five characters of Myoho-renge-kyo. Never doubt that all gods protect those who embrace the Lotus Sutra. Marishiten also embraces the Lotus Sutra and thus helps all people. Even the incantation, “Those who join the battle are all on the front line,” is related to the Lotus Sutra, where it says, “…learning, government, language and daily living will accord with the True Law.” Therefore you must summon up the power of faith more than ever. Do not blame the heavenly gods if you exhaust your good fortune and lose their protection. Masakado was renowned as a brave general who had mastered the art of war, yet he was defeated by the emperor’s armies. Fan K’uai and Chang Liang also failed in the end. Faith alone is what really matters. No matter how earnestly Nichiren prays for you, if you lack faith, it will be like trying to set fire to wet tinder. Spur yourself to muster the power of faith. Regard your survival as wondrous. Employ the strategy of the Lotus Sutra before any other. Then, just as the sutra says, “All enemies are crushed.” These golden words will never prove false. Believe them wholeheartedly. The heart of strategy and swordsmanship derives from the Mystic Law. A coward cannot have any of his prayers answered. I struggled considerably doing the research for this presentation. One of the reasons for this was the rather large amount of writing, thought & analysis given to the topic of strategy that I looked at. The art of strategy is analyzed in military matters, the business world, personal development & the list goes on, but it should not be overlooked that strategy is an important component in spiritual growth as well. If we have an understandable strategy for enlightenment, we can then enrich all areas of our life, from our personal growth to other areas of influence. What is strategy? Strategy is a plan (science &/or art) of action to achieve a goal. Its common uses are in military (political & business) theory & it is often contrasted with tactics i.e. the actions that are taken to achieve a goal. The strategy is how to win the “war” (whatever that may be) & the tactics are how specifically that “win” will be implemented. Here we can see the value of the quote that Nichiren cites from the Lotus Sutra: “If they should expound some text from the secular world or speak on matters of government or occupations that sustain life, they will in all cases conform to the correct law.” I’m sure that what is meant with this quote (putting aside its connection with the purification of the senses) is, that when a piece of wisdom is taken from the secular world it will, and often does conform to basic truths throughout or own practice & other beliefs. Basically it’s an idea that all truth stems from the same point: enlightenment of the Mystic Law. What is slightly difficult about the quote in this context (or in the context of war), is: when is war fought to sustain life? I am forced (due to time & other obvious reasons) to also push this question aside for now & instead focus on the term strategy rather than trying to define a just war. It is clear however, that we can & do use war as a metaphor for overcoming life’s battles & it is this usage that is of importance here. It was no accident that Nichiren used the word strategy in this letter/gosho to Shijo Kingo. Shijo was a samurai & was no stranger to battle. As Nichiren’s disciple he, in fact, had to battle to uphold the master’s teachings in the face of what is known as the Atsuhara persecution in 1279, as well as other conflicts he faced throughout his life, due to his beliefs. Nichiren is trying to speak Shijo’s “language,” using such metaphors on strategy, courage (vs. cowardice), (the mythic protective goddess of warriors) Marichi, mentioning famous warriors &c.
Okay, is Nichiren merely defining a term suggesting that Shijo should just have a better strategy when he confronts the enemy in battle?–Not exactly. 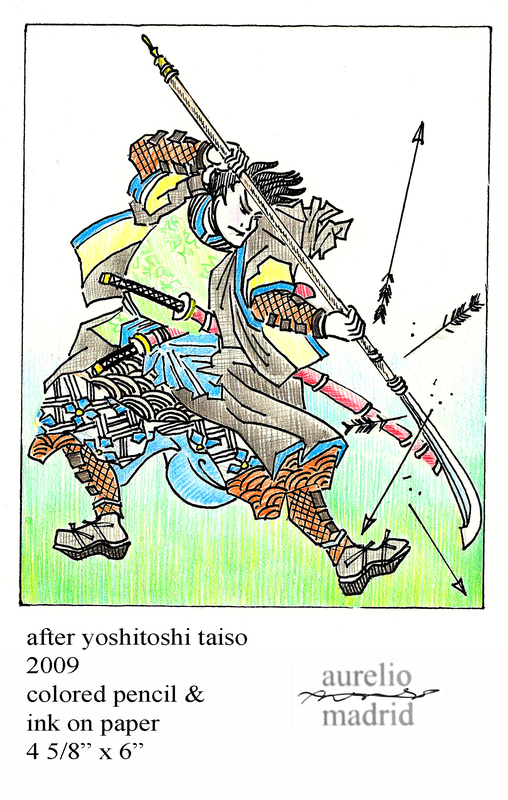 Nichiren is suggesting that rather than using only battle-worn concepts of swordsmanship out in the field, he (Shijo) should bear in mind to “…muster the power of faith. Regard your survival as wondrous. [And to] employ the strategy of the Lotus Sutra before any other.” Basically Nichiren is urging Shijo to use his faith to guide him in battle, to use his Buddhist practice to inform how he battles the enemy, to use his wisdom to see that he (himself) must have the courage & faith to fight on with the same spirit as his mentor. This strategy of faith must be summoned from the depths of his (Shijo’s) own life. Nichiren can pray for him, but he must see this himself. All wisdom is informed by the Mystic Law. Faith in the Mystic Law is Buddhism. So the strategy (of the Lotus Sutra) is what? President Ikeda says it is “The foundation of all our efforts, endeavors & challenges—whether in the realm of staying healthy, leading a fulfilling life or showing actual proof of winning trust in the community & in society—[this] is the strategy of the Lotus Sutra, or, in other words, strong faith.” Ask yourself: what is my strategy for a better life, for me, for the people around me, and for the world I live in? What plan do I have to fight the fundamental darkness that threatens to drag me & others down—against the devils of adversity, against the enemies of growth? What is my path to enlightenment? What is the art of the living as a Buddha—for me & those around me? How can I see that the sufferings of birth and death are enlightenment? What is my strategy of the Lotus Sutra and how can I help others ask the same question? I’ll dare to say that: Buddhism itself is the Strategy of the Lotus Sutra.